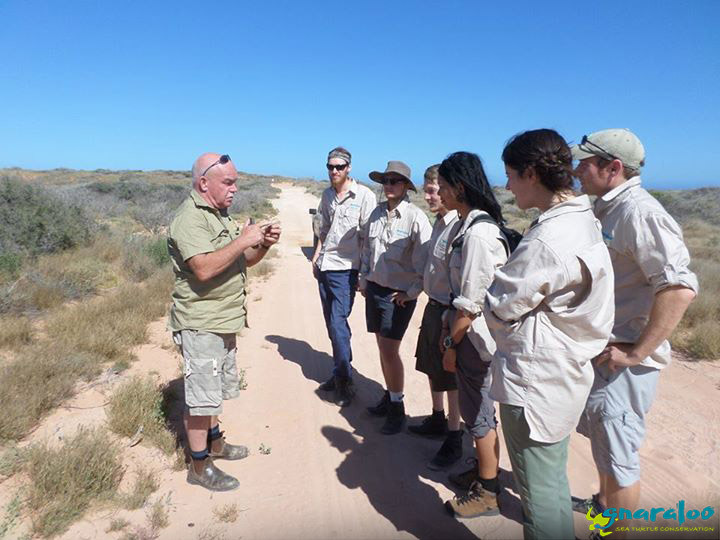 Mike Butcher, from the Animal Pest Management Services (APMS), joined the team to train us in feral animal track training. 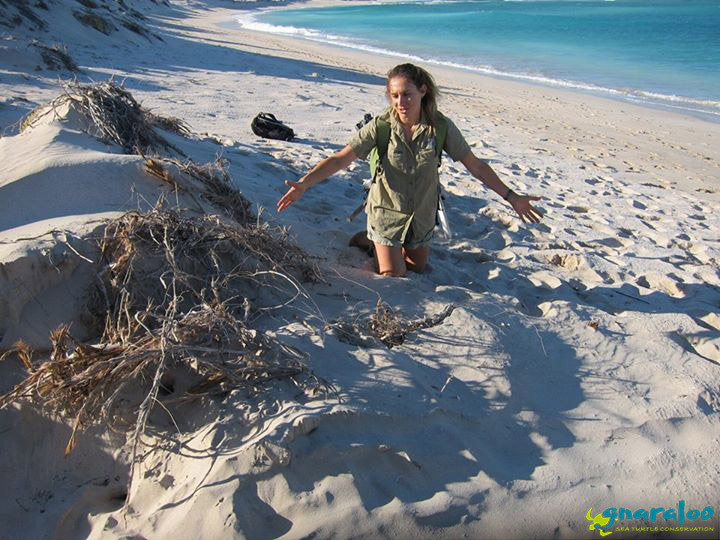 Before Mike and his team linked up with the GTCP back in 2008, there was over 80% predation from foxes (Vulpes vulpes), feral cats and wild dogs on turtle nests in the Gnaraloo Bay Rookery (GBR) and Gnaraloo Cape Farquhar Rookery (GCFR). Mike’s expertise in feral animal control has reduced this to 0% for the last five nesting seasons. As a result, his program and training have earned him the Australasian Management Society’s Practitioners Award 2014! 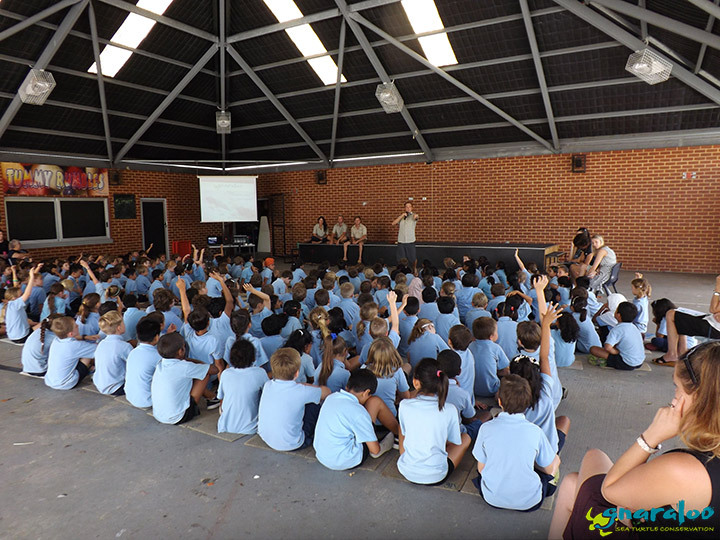 On our first day of training, we spent it classroom style, where Mike gave us a presentation on the background and history of the Gnaraloo Feral Animal Control Program (GFACP). We learned how he developed his unique feral animal control techniques and got the inside scoop on how he was able to achieve these results. The GTCP couldn’t have picked a better man for the job! 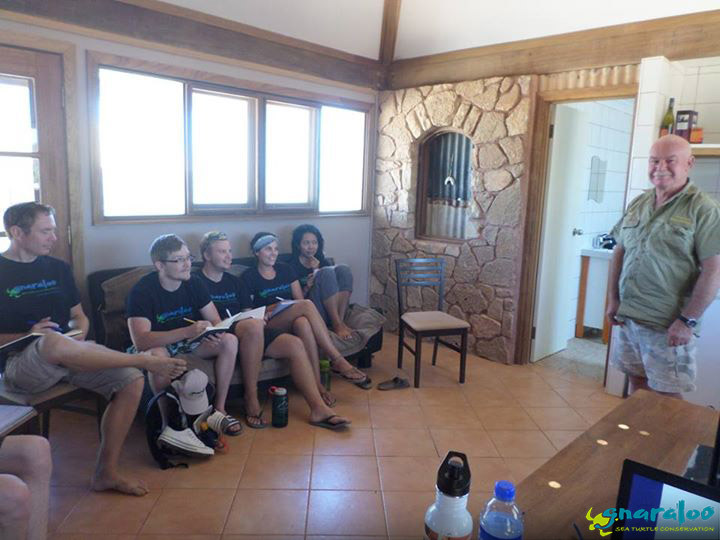 During the morning session, the team learned the key track characteristics and behaviours of three main predators: foxes (Vulpes vulpes), feral cats and wild dogs. In addition, we learned to identify tracks from a few other species that we are likely to come across on the beach such as kangaroos/wallaroos (Macropus robustus), goat (Capra aegagrus hircus), echidna (Tachyglossus aculeatus) and sheep (Ovis aries). We all enjoyed learning from Mike’s experience and tried to soak everything up for our day out on the station. On our second day with Mike (and what a day! 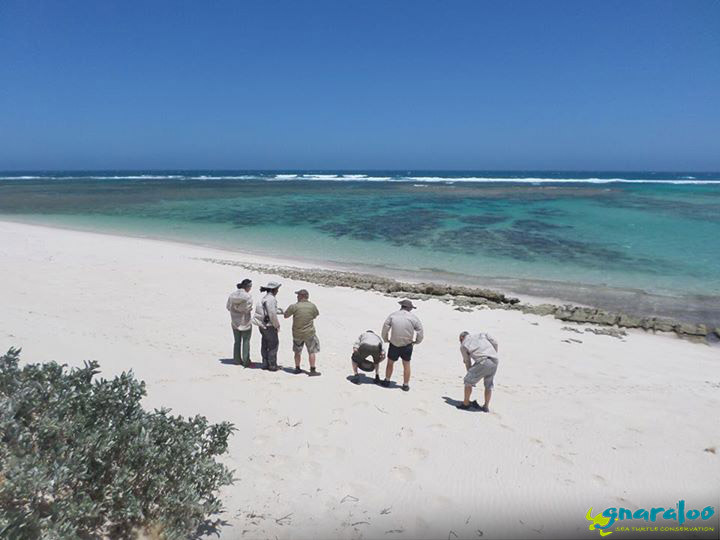 ), we had a fantastic drive out from the Gnaraloo Homestead to GCFR, stopping along the way to observe roadside predator tracks. We were all amazed at Mike’s ability to identify tracks with precision while still in a moving car. We stopped at various points to practice our track identification skills and got an introduction to other work conducted by APMS such as pitfall trapping for biodiversity assessment of small mammals on the station such as the spinifex hopping-mouse (Notomys alexis). On the way back, Jordy got bogged in the sand despite his excellent off-road driving. Mike gave us a crash course in sand recovery, where we all pulled together as a team to dig the turtle-wagon out. We all cheered as Jordy expertly drove out of the sand. Exhausted after a great day of learning and track identification, we headed back to the Homestead and straight to bed, ready for our next adventure. On our way back we also managed to catch sight of a male emu and its chicks (Dromaius novaehollandiae) (see our 2015/16 album)! All of us (Jordy, Skip, Nick, Kim and Mel) would love to give a big shout out and thank you to Mike Butcher for his openhearted personality and stories that kept us all entertained. His training program was really informative and we can all say that we have learned a lot and come together as a team from it. We’re looking forward to him return later in the season. 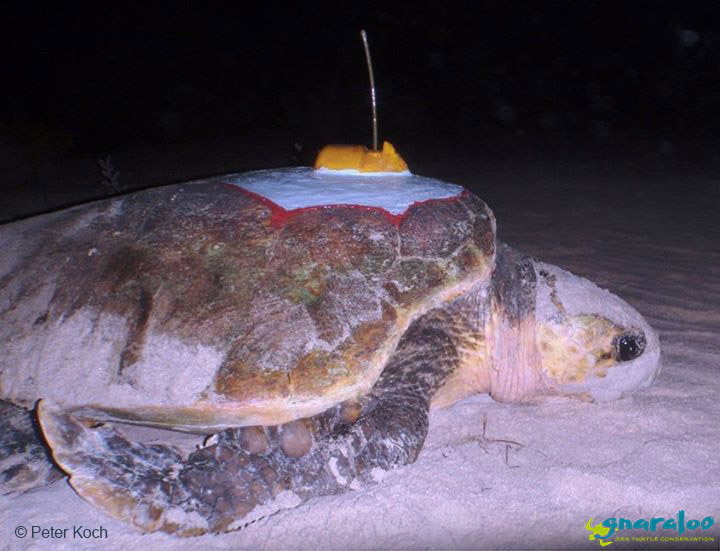 Time to satellite tag Gnaraloo’s loggerhead turtles!